Elevations range from 5,000 feet on Stoddard Peak, to 2,800 feet at Turtle Valley. 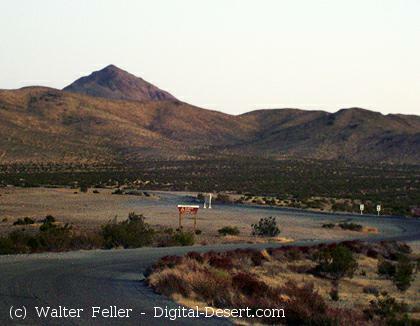 Vegetation consists of creosote scrub, annual grasses, wildflowers and the Joshua tree; a symbol of the Mojave Desert. The triangular-shaped riding area is formed by Interstate 15 and California Highway 247 (Barstow Road), immediately south of Barstow. Most visitors access the area to the east, off Interstate 15 at the Outlet Center Drive Exit (Sidewinder Road) or at the Hodge Road Exit, to the south on I-15. From Barstow, take California Highway 247 (Barstow Road Exit from I-15) and go south 10 miles, turn either on Stoddard Wells Road or on to the access road behind the Slash-X Cafe. All entrances are dirt roads. Most area visitors ride motorcycles or ATVs, or tour the area in four-wheel drive vehicles. The easily accessed areas off Sidewinder Road (Outlet Center Drive exit on I-15) are used extensively for OHV free play. The eastern portions of the area and the Stoddard Mountain area are considered the most challenging places in the park to ride. The broad expanse of the central valley and the southern portions are for the novice and are used to improve skill of the rider. There are areas to the west of the Slash X entrance that become a challenge for the intermediate rider. This 53,000 acre open riding area will offer a challenge to every degree of expertise and type of vehicle from the motocross racers to the beginning Quad rider. Four wheel drive clubs offer events in this area because it has diverse landscape and a riding experience for everyone. This area is used extensively for competitive racing events by permit. There are many occasions for hiking, rock scrambling, rock hounding, and plant, bird and wildlife watching. The desert tortoise, a state and federally listed threatened species, are found within the riding area. NOTE: Deep mine shafts exist in the riding area! Please avoid these areas and stay away from mine shafts! Camping is allowed anywhere within the riding area that does not block travel on a road. Camping is limited to a 14 day stay. Draining of holding tanks, littering and trash dumping is prohibited. Please take your trash out with you. Thank You. All vehicles must have a muffler or spark arrester and have either a street-legal license or be registered as an off-highway vehicle. Vehicles operated at night must have head and tail lights. Helmets are required on all ATVs! Passengers are not permitted on ATVs. Digging or destroying trees and shrubs or harassing wildlife or livestock is prohibited. The desert tortoise is a federally protected species. Please do not handle or disturb these animals. Look but don't touch! SHOOTING IS NOT ALLOWED IN THE STODDARD VALLEY OFF-HIGHWAY VEHICLE AREA (except for shotguns during hunting season). No Garbage Collection in this area. Please "pack it in - pack it out". Possession of or burning wood containing nails, screws or metal hardware is prohibited.